This is lite version of the popular Birthday eCards. 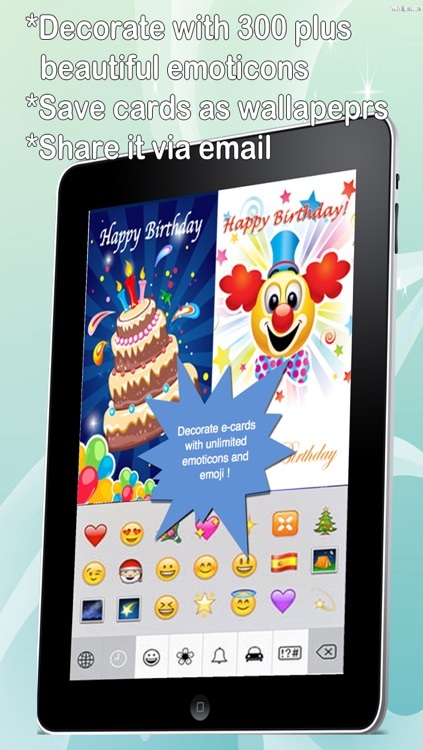 It comes with enhanced features of audio recording, email attachment of recorded voice,birthday message selection and photo selection from Photo Gallery ! 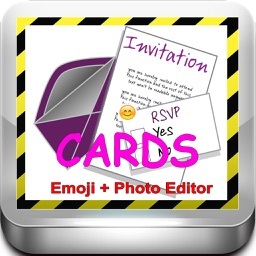 >>Customise with emoji & smileys ! 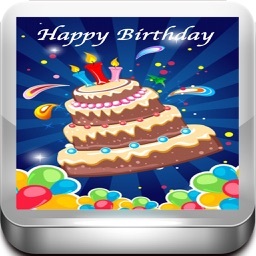 >>Enhanced with audio recording feature ! 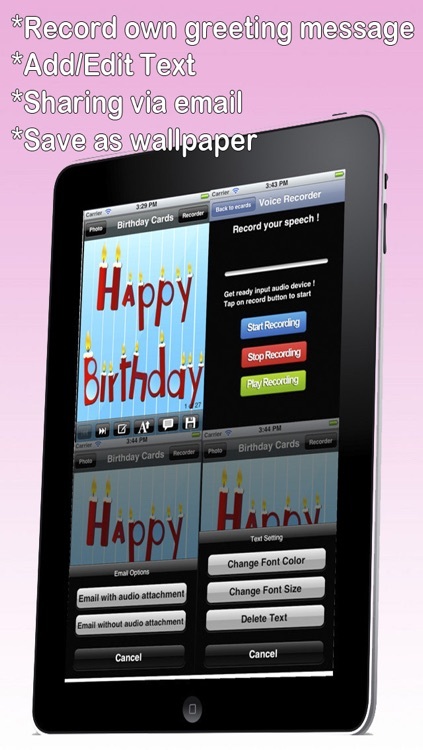 -You could record your invitation speech using audio recorder and attach it to the email together with e-cards ! 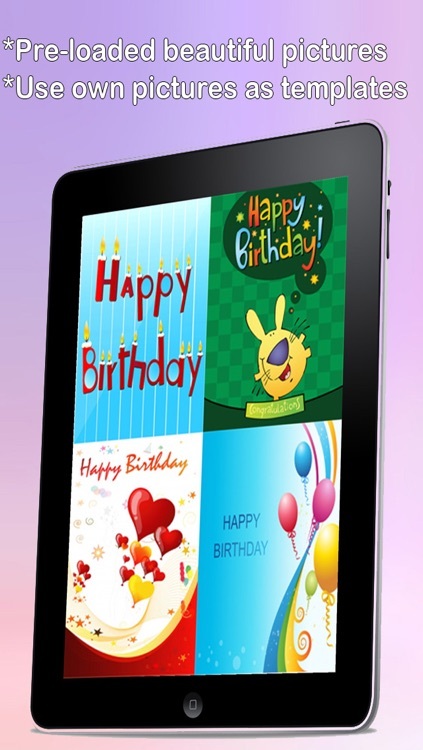 - Send as many birthday e-cards as you want. 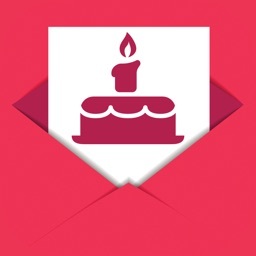 There's no limit to the number of e-cards you can send. 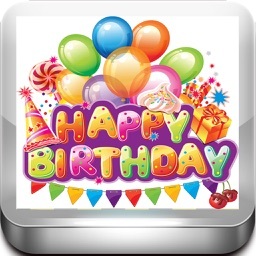 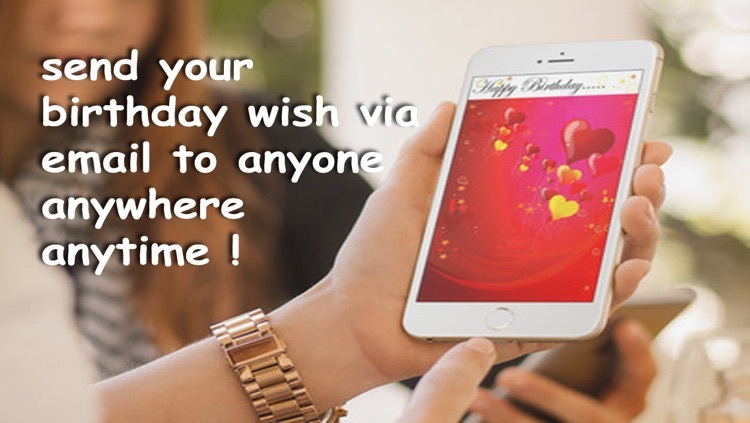 Send your birthday message with great background pictures by sending e-cards straight from your iPhone / iPad ! 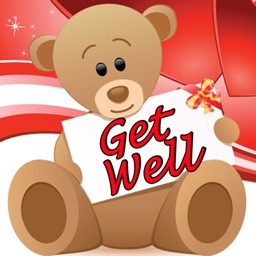 Show them how much they mean to you. 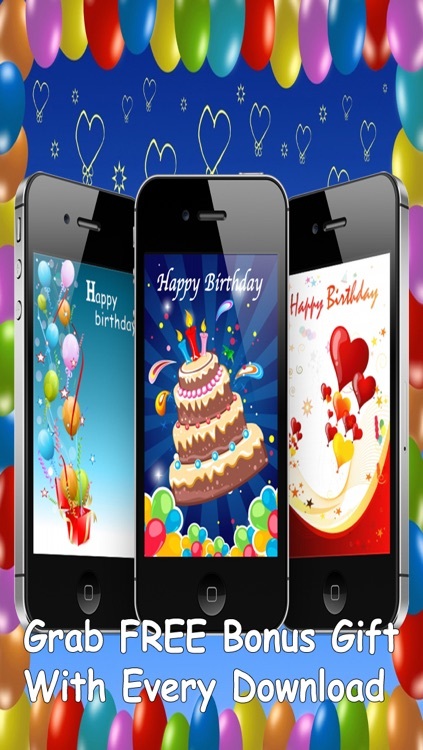 Download this apps now!